1. 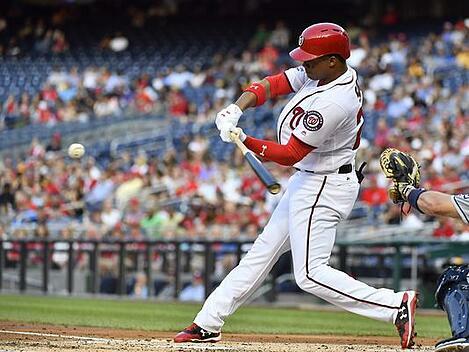 Earlier this week the Washington Nationals called up their teenage phenom, Juan Soto, after Howie Kendrick tore his right Achilles tendon. At only 19 years old, Juan not only got started in his MLB debut, he also snagged a 3-run HR on the first pitch of his first ever MLB at bat! Check out the footage and read more here. 2. Check out this amazing story brought forth by ESPNW of two collegiate lacrosse athletes' perseverance and determination after experiencing the unthinkable in a life-altering accident. 4. NASCAR driver Danica Patrick is set to be the first woman to host ESPN's ESPY awards show! Patrick, who recently announced her retirement from full-time racing, is the most successful female driver in the sports history...we'd say this is a great way to honor such an amazing career and athlete! 5. 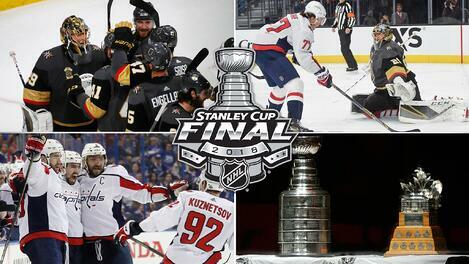 The final two teams in the Stanley Cup Finals have been decided. NHL.com experts have weighed in and it's a split decision on who will take it all home. Let us know who you are pulling for in the comments below!